Smallstuff dummy chain - Blue Square - shop here. Simple dummy chain in Blue Square by Smallstuff. 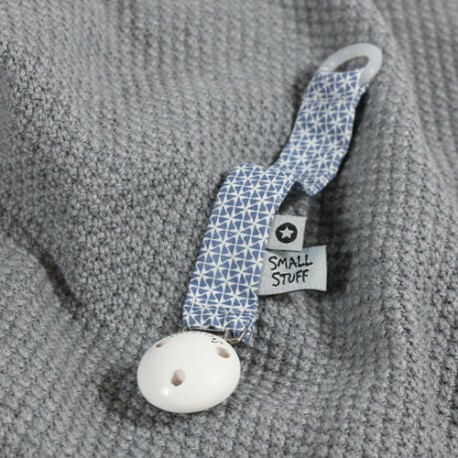 Beautiful and practical dummy chain from Smallstuff. The dummy chain can be attached on the clothes with a practical wooden clips, and the dummy can be attached on the chain with a small silicone ring that measures 2 cm in diameter. Useable for dummies with or without a ring. The dummy chain can be wiped of with a wet wipe - please don’t wash it by hand or by maschine. The dummy chain from Smallstuff is approved after a high security standard.